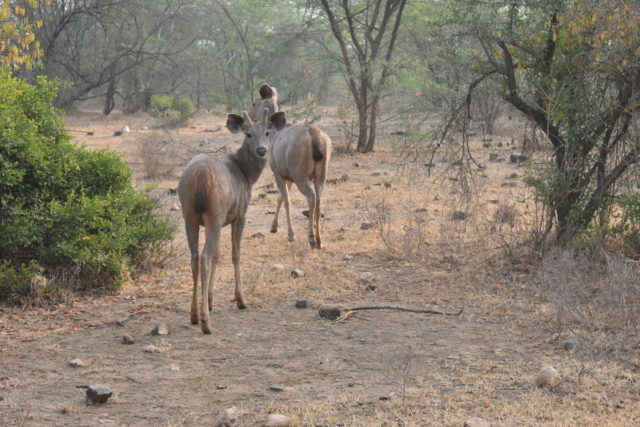 Sariska: Nature with Adventure - Ghumakkar - Inspiring travel experiences. I’m back with my new ghumakkri to Sariska. Previously I wrote about my trip to Chail you can read that here. We were looking for a good outing so that we can get some relief from smoggy environment of Delhi. 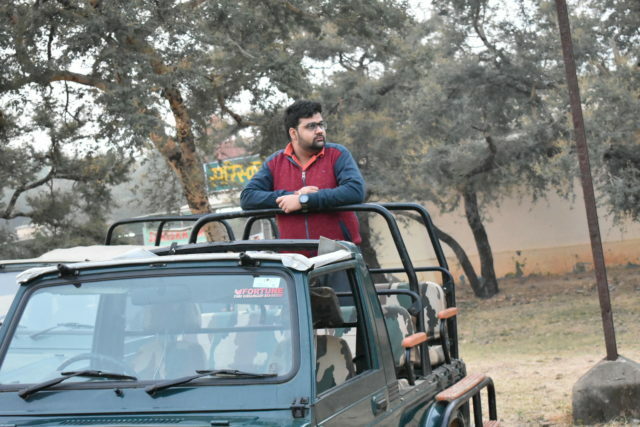 After an intensive search I found the Sariska as a place to have some adventure and to sit with nature and have some fresh breathes. We decided to hit the road on 10th Nov early morning to avoid the city traffic but have another issue of smog due to which so many accidents were already happened in past few days. After checking the visibility we hit the road by 6.30 AM. The roads were quite empty as compare to a regular Friday morning. Later, I discovered that the entry for Trucks was banned by Delhi government due to severe air quality. So, with the free space on both sides of road we reached Gurugram within an hour. We reached Kherki Daula toll plaza around 7.30 Am, once we crossed the toll plaza I found a huge traffic Jam on the road due to the trucks halted outside Delhi and were redirected to origin place or to be standstill on the roadside space. It took around half an hour to cross the big mess of huge monsters (Trucks). We have ample time as our check in timings to resort was 12PM so I took it easy and keep myself on low speeds to avoid any unwanted circumstances. After that the drive was easy and smooth. We still found some small chunks of traffic Jam till Manesar but we escape them within few minutes. We crossed the Neemrana Toll plaza around 9.45AM and still left with ample time before we check in to our resort. So, I roll down the windows to check the Air quality and slow down to 70KMPH to enjoy the ride with my wife. Soon our bellies start crumping for breakfast and we start looking for a good restaurant to fill in. After almost half an hour, we found a good restaurant just before Kotputli, it was so beautiful with some lush green lawns and big open space to sit and enjoy the food in bright sunlight. We clicked some pics and had a great breakfast there. After spending around an hour or so we left for our destination. 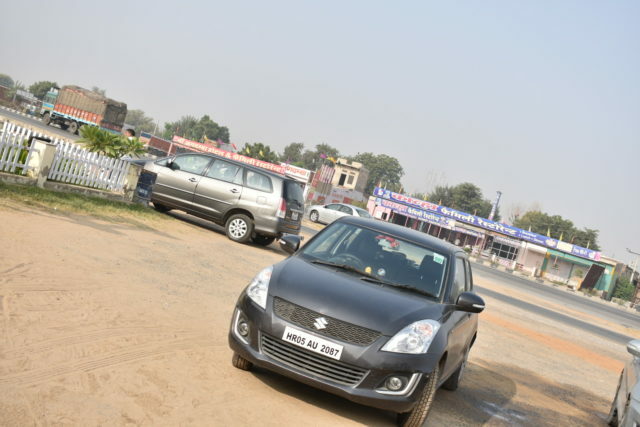 After driving 40 more minutes, we took a sharp left from main Delhi-Jaipur Highway to Viraat Nagar State highway. 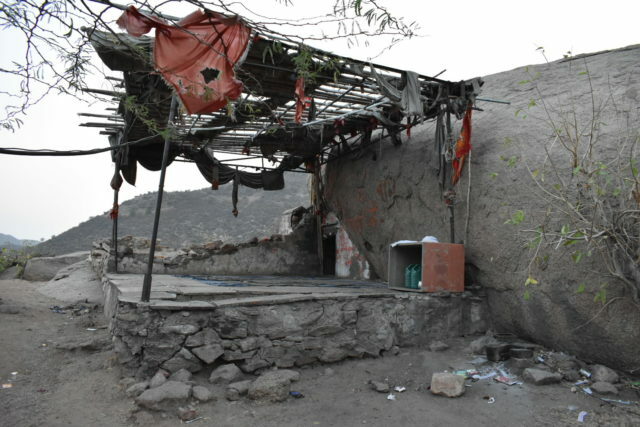 Viraat Nagar is famous for the Mahabharata times as this is the place where pandava’s completed 1 year of secret exile. Our resort (Gulmohar Sariska Resort) was situated on connecting road just 2KMS before the main city. It was a big resort with some spacious rooms with a big garden area which is room facing and a swimming pool too which is not quite big but good for group of 5-10 people. After completing check in formalities, we headed towards our room and quickly ordered some food as its already 3.45 in afternoon and after finishing the lunch we headed towards swimming pool area. The water was icy cool even in afternoon but feels good after a few minutes. We spent an hour or so in swimming pool and came back to room had a bath and get in to the blankets to have some sleep as we didn’t sleep last night due to excitement and early morning leaving schedule. It’s 6.00 in the evening when we wake up. Quickly left the bed got ready and left to visit Bijak Pahadi which is merely 3 KMS away from our resort. We reached the location within 15-20 minutes and to my surprise the roads in that small village were in great shape. 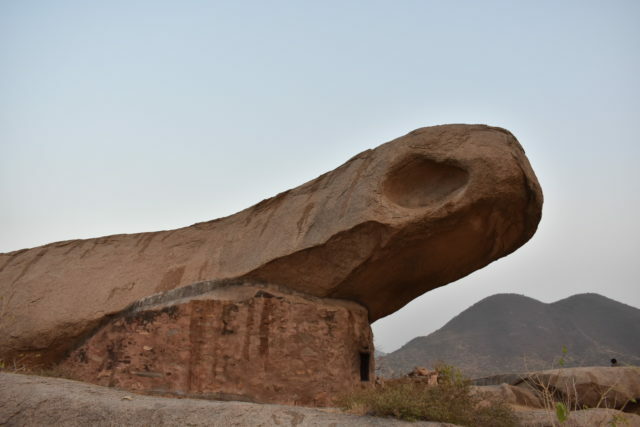 The Bijak Pahadi is a place where a big rock seems like a frog and it’s on top of the peak. The most interesting thing about this place is you can’t see the rock until you reach the top before that you just see the surroundings which were equally amazing. We spent an hour at that place clicked some pics and enjoying the Mother Nature in its peak beauty. No pollution no smog no horn blaring sounds no hustle and bustle just peace all around. We came downhill and headed towards Bheem Temple another destination near the main city but it’s getting darker so we dropped the plan to visit that temple and kept in checklist for next morning. In the night, we slept quite early as our safari timings were in early morning and we need to leave the resort around 5.30 AM to reach the safari gates on time. I was the first one to wake up early in the morning might be due to excitement I wake quite before alarm goes up. I asked my wife to get up, prepared a cup of coffee for both of us. We left the resort on scheduled time and reach the jungle gates pretty before the time. We saw lot of jeeps and open buses were parked in the campus which were ready to take passengers inside jungle. One can also take personal vehicle inside the jungle but an open jeep is the must to enjoy the safari uttermost. Stay alert of the monkeys as they will steal anything they can eat even from your hands. I booked the safari tickets online through the website. So, I completed the other formalities at the gate. Later I discovered they will take us inside only when we’ll get 4 more passengers to accompany us in the jeep and the time was running out as we know the chances to see a tiger is better in early morning. Later we found a family of 3 who accompanied us but still both the family’s needs to pay for the 4th person so that we move the vehicle inside. Finally we moved inside jungle and the early morning chilly waves start hitting us. 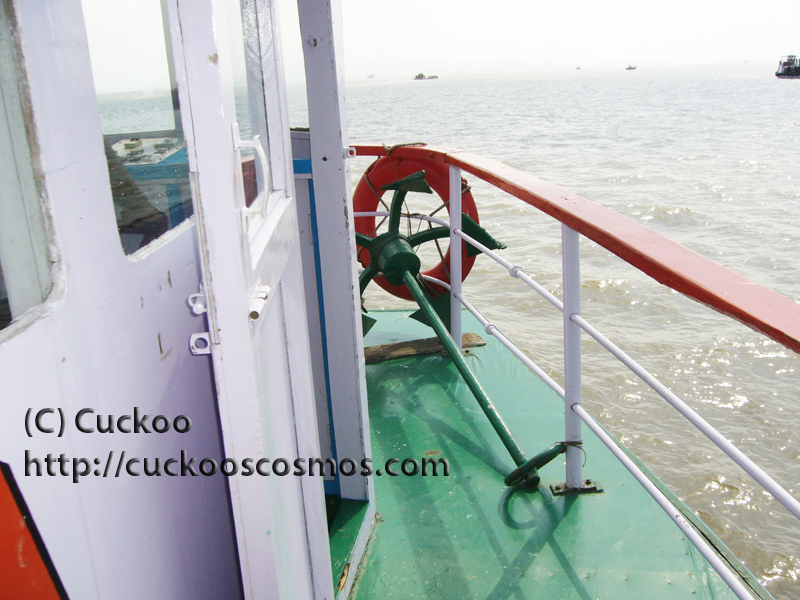 In the beginning we saw some peacocks, Sambhar deer’s and some other kind of birds. Suddenly our guide ask us to remain calm, we heard that a monkey is making some weird sound which generally they make when a danger is around them. Soon we heard a distant roar of tiger. Our hearts start beating very fast with the imagination to face off the beast in open. But tough luck tiger crossed the place within the bushes and never came on the pathway. We keep roaming inside the jungle for long but after that we never got a chance to hear any monkey voice again and soon the sun came high. We lost our hopes as the time passes and asked our driver to take us outside the jungle. 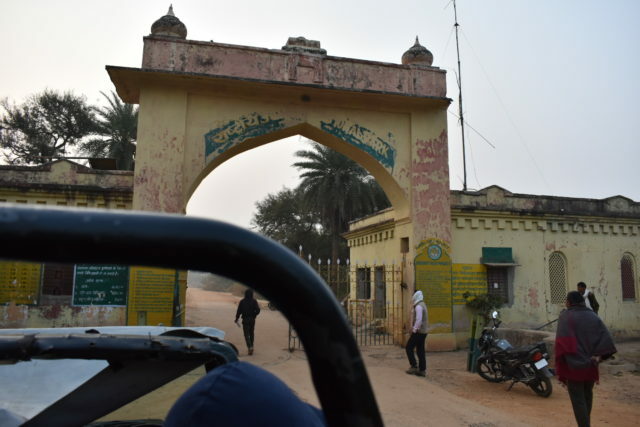 We came back to resort with the lost hopes but we planned another adventure while travelling back to resort as I saw a board on the way Bhangarh is only 50 KMS away from that point. 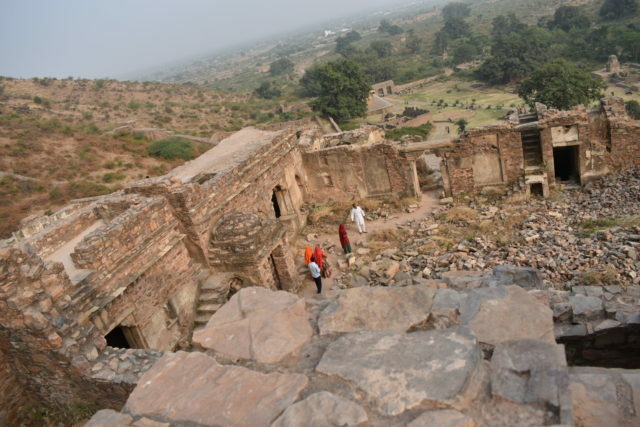 You can search more about Bhangarh on Google as it’s the most known place in India. My wife was frighten in the beginning but when I told her that it’s a kind of picnic spot now and so many people will be there. Eventually she agreed for that but still feeling a little low with the place. So, we had our breakfast and again headed towards swimming pool for some more fun in the water. This time pool was all ours nobody was there and we enjoyed a lot in water. After playing in water for long enough we both start feeling tired and need some sleep. I looked at watch and it’s around 12’o’clock so I purposed to have some sleep and leave for Bhangarh around 2 in the afternoon. 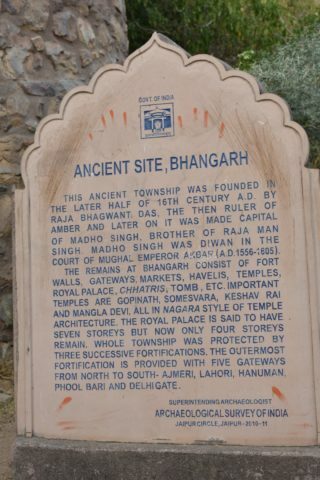 We left for Bhangarh after 2.30 PM. The roads were again in great shape till a point from where Bhangarh is only 10KMS but the road from here is really narrow and had some big patches and holes. I was driving so carefully and that 10KM stretch took us around one hour to clear. 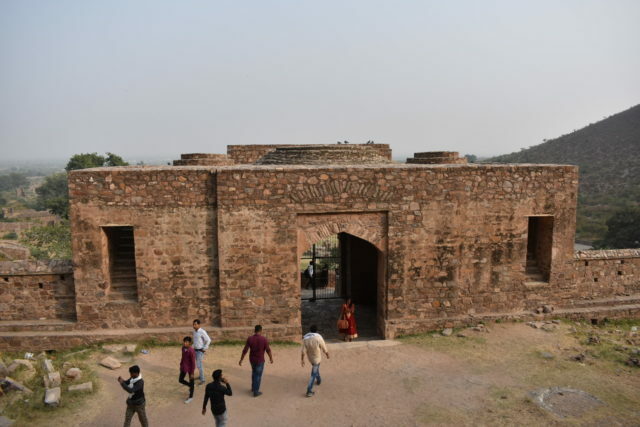 Finally, we reached Bhangarh around 4PM and as expected there are so many people roaming around and seems more like a picnic spot not a haunted spot at all. Now, my wife is also feeling comfortable to visit the fort. We entered the main entrance and start the exploring the place. 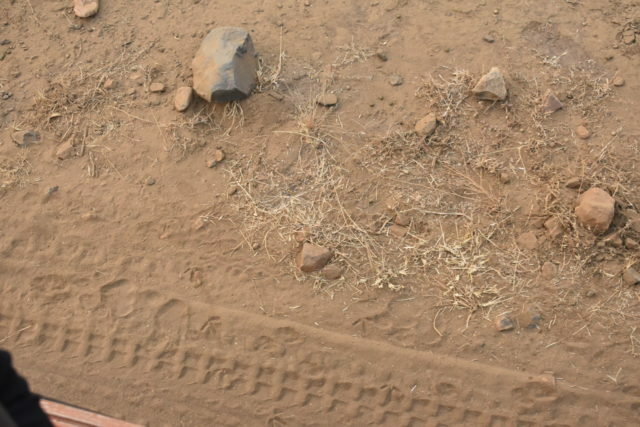 First, we found some structures of stones which seems more like small houses for locals residing in that place. We keep moving and later discovered the shops which were really small. Finally we enter the main fort, it’s a lush green campus in there before the main fort which shows the royalty of the palace. First we encounter the temple but we’re not willing to visit any more temples so headed directly towards the fort. It’s still a huge structure even so much of it is ruined with time but graceful. We went till the top of the structure and clicked some pics from that place. Some people were going till the point where the evil wizard sit and keep an eye on the queen. Later, the wizard cursed the whole place. After viewing some breathtaking images we start descending. We reached back to resorts around 9.30PM. We’re so tired and even to able to move from bed. So, I asked waiter to serve the dinner in our room. I was tired that I slept while waiting for dinner at 10.30 waiter knocked the door and I wake up. We had our dinner and slept so that we can wake up early in the morning and can enjoy the place little more. We wake up by the breakfast call from reception. We left the room for the dining hall and had the breakfast. Now, my wife again asking to go to the swimming pool but as I know that there will be huge traffic jams on road till Delhi I decided to leave early so that we can reach Delhi as soon as possible. So, we left the resort around 10.30. We merely crossed 2-3 KMS we found traffic jam on the connecting road as the policemen were asking the truck driver to standstill on the sides of the road. After struggling lot, we hit the main Delhi-Jaipur Highway and here onwards the road was smooth and empty. We were enjoying the ride and discussing all the memories we created in last 2 days. Before reaching Neemrana we found a barrier was placed just before an elevated road. Policemen were asking everyone to follow the sideways, I didn’t understand the reason at that point of time but later I found that the complete road was blocked due to trucks. We took a little detour from main high way and now we’re on state highways which lead us to Rewari and from there we came back on main highway. We reached Delhi around 7.30Pm in the evening but still feeling we are in Sariska. Hi, I love to visit different places and view. That's how my ghumakkari started and now I visited so many placed. Every weekend I try to visit a different place. Sariska is a nice place to be even without sighting a tiger. We did it as a day trip from Delhi a couple of years back. There were so many animals especially spotted deer in multiple herds. Proximity to NCR makes it especially attractive. Thanks Patrick, it was a great experience to visit sariska altogether even we missed tiger by a few inches…. A lot of people go to Sariska but very few venture towards Virat Nagar. Infact I also discovered this by chance while returning from Jaipur on one of my numerous drives and sensing another frustrating drive on NH8, we turned right towards Sariska. 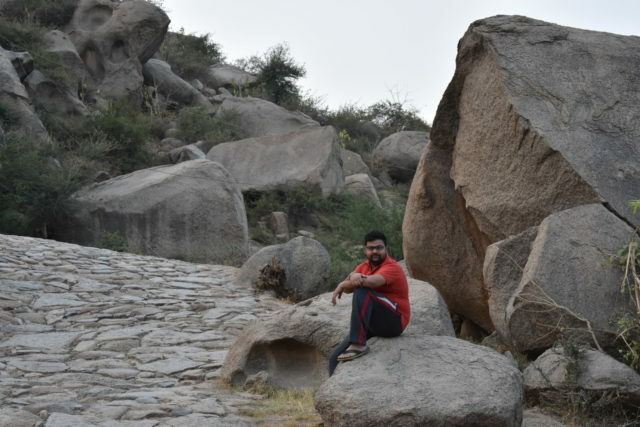 Thank you Gourav for the pics and for sharing more about Bijak Pahadi and the surroundings. I visited Sariska a couple of years back from Gurgaon. We explored the jungle in our private vehicle and went straight to Pandupol which is an ancient Hanuman temple. Alas! either we did not see any tiger as they are very few in Sariska. Nevertheless, we enjoyed the place and the surroundings. It was one adventurous journey of my life. 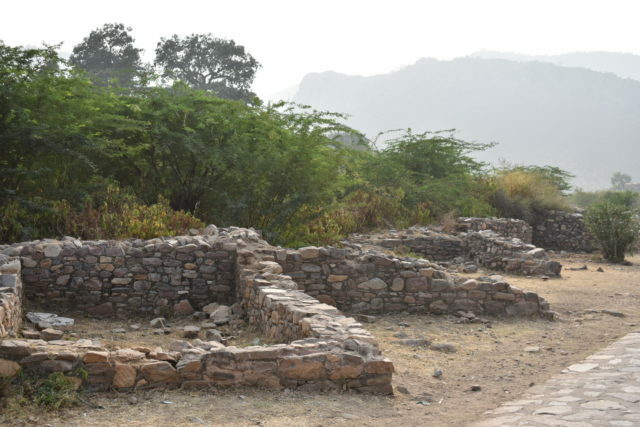 Though due to shortage of time we did not visit Bhangargh, although, it is very close but we certainly crossed it due to poor knowledge of the roads.